Hardware sales are handled by paypal, we do accept payment using other methods, please contact us to discuss a purchase using other than paypal. Prices include shipping and are provided in GBP (UK Pounds), Euros or US Dollars. If your country isn't listed please use GBP. 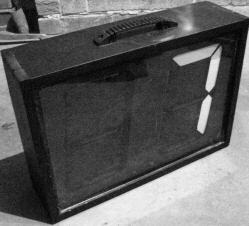 All items are in stock unless otherwise stated and are usually shipped within 48 hours. Laps Free controls up to eight lights, five F1 style start lights and three traffic lights for race/countdown status. 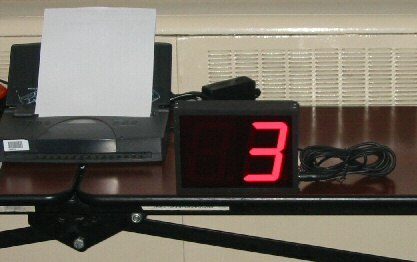 This controller takes the output from the timing software and turns on/off the individual relays which are connected to a lighting circuit and isolated from the computer. Very easy to wire; can switch mains, 12 volt etc. Ever get asked which race is running? Due to shipping costs for this item please contact us if you are not located in the UK. 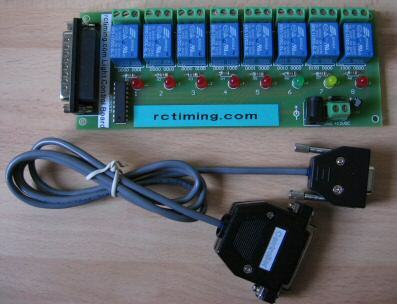 Our transponder tester works with system 20 (black transponders) and the newer red AMBrc transponders. It's especially useful on system 20 transponders as they give no indication that they are working. The tester doesn't require batteries, it's powered by the small signal that is emitted continually by a charged transponder. Placing a transponder under the tester will move the display indicator; if a dead transponder is used the indicator won't move at all. 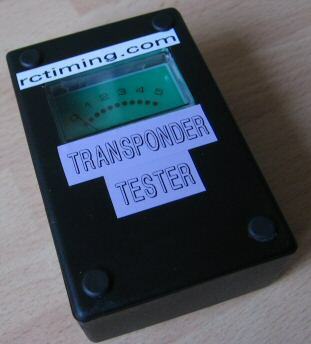 The tester will also indicate a weak transponder signal that may effect performance. 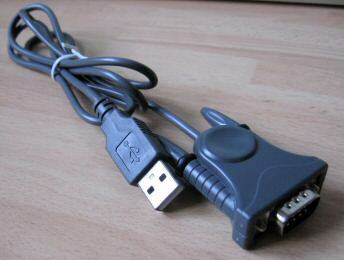 Unfortunately many USB-Serial Adaptors don't work with AMB systems, however we've tested this one and guarantee it will work with AMB System 20, AMBrc, AMBrc3 and our serial devices. A full refund will be given if you find it doesn't work! 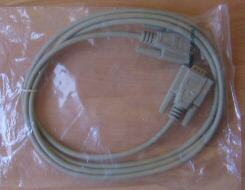 A replacement serial cable for connection between a PC and AMB decoder.